Original animated GIFs wanted for Miami arts festival. You’ve got ‘til 11/7 to submit. Does truth reside in authorial intent, or in the naked facts? On the Media tries to sort it out in a fascinating show devoted entirely to the issue of factchecking. Set aside an hour. It’s worth it to hear the whole schmegagie. Must-See: Louise te Poele’s grotesquely-beautiful photos of Dutch farmers. Studio 360 examines Andy Warhol’s Soup Cans. A 1967 letter from Artforum editor Philip Leidel to writer Matthew Baigell, telling him that the mag would likely never explore the issue of electronics or computers in art. I can haz an exhibit? Cats, they’re in your computers and your museums. Bring it! Art Fag City has put together a handy round-up of the latest very negative art reviews. The Day in Art Merch: Richard Prince lemonade. For reals. On Gary Panter’s Dal Tokyo. Artists Jennifer Dalton and Jennifer McCoy have opened up a new spot in Bushwick that focuses on cheap multiples (under $300) by emerging artists. Check it. Why do schizophrenics hear voices? It may have to do with their notion of time. And: an absolutely fascinating interview with Chrystia Freeland, author of Plutocrats, about the rise of the superrich. 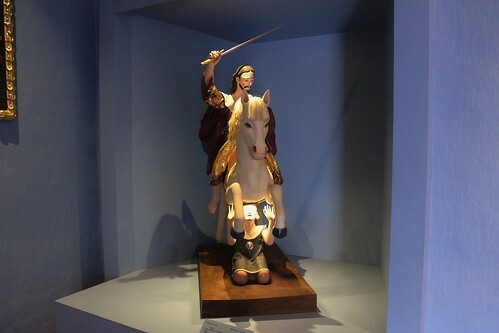 Photo Diary: Saint James and the Inca. The Casa Garcilaso-Museo Histórico Regional is located on the Plaza Regocijo. It is open Tuesday through Sunday, from 8am to 5pm. 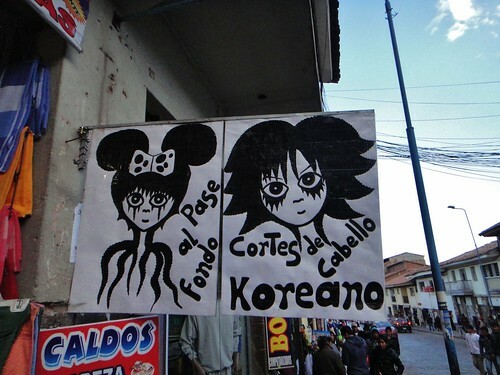 Entrance for foreigners is with the boleto turístico. 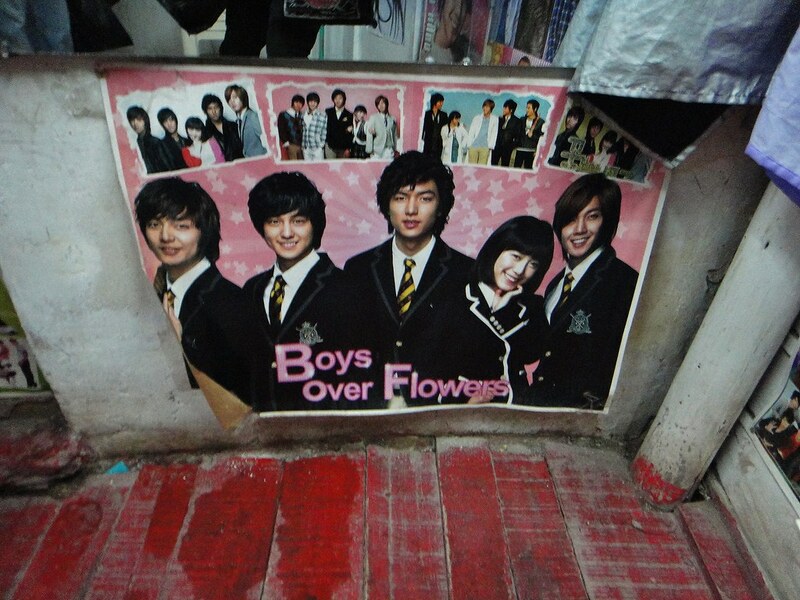 Photo Diary: Korean haircuts in Cuzco. Apparently, this is a thing in Cuzco: so-called ‘Korean haircuts’ — as in haircuts inspired by K-Pop bands. Neither the people getting the haircuts or giving them are Korean, which makes this even more intriguing. And Peru doesn’t have a significant Korean population. (In fact, if there is a Korean population, it’s so small it doesn’t turn up in the official census stats.) 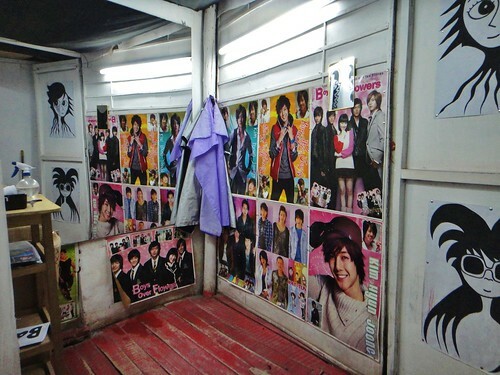 Yet, somehow, K-Pop has entered the cultural ether (likely through the internet) and a few salons around town cater to lovers of the genre’s studiously disheveled shag ‘dos. Last days of La Luz. In what has to be one of the intense-surreal art experiences I’ve ever had, Celso wrapped up the La Luz installations at Qorikancha in Cuzco this past Wednesday by giving away all of the soda to the public. It started slowly. A couple of folks took bottles. Others approached tentatively. Within half an hour, word had spread on the street that soda was being given away Qorikancha. Police, old ladies, young boys — all showed up and took home a piece of La Luz. Some told us they’d serve the soda at a celebration for Santa Rosa de Lima, a Peruvian saint whose saint day was the next day. It’s almost as if people felt compelled to give us an explanation for why they were taking a bottle. In less than an hour, every last bit of the installation was gone. Find pix of the last three days of installations below. 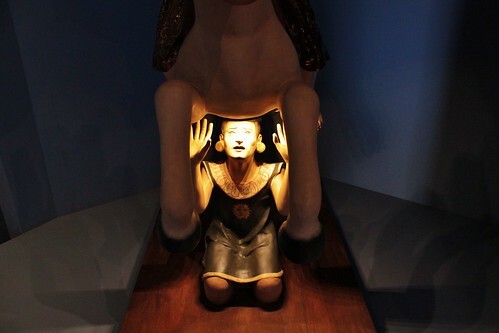 And thanks again to curator Vera Tyuleneva, the awesome Willy and everyone at Qorikancha for such an unforgettable experience. I’ll be mulling this over for years. Chicago: MCA DNA: John Cage, at the Museum of Contemporary Art Chiago. Opens Saturday. NYC: Doris Duke’s Shangri-La, at the Museum of Arts & Design. Opens next Tuesday, at Columbus Circle. NYC: Petrochemical America: Photographs by Richard Misrach, Throughlines by Kate Orff/SCAPE, at Aperture. Through October 6, in Chelsea. NYC: Myths and Realities, at SVA’s Visual Arts Gallery. Opens today, in Chelsea. Kingston, NY: Maria Kozak and Richard Saja, The Other, More Secret Garden, at One Mile Gallery. Opens Saturday, in the Hudson Valley. From the Department of Botched Restoration. I know this has already made the rounds, but I can’t resist. And I don’t know ‘bout y’all, but I kinda like the new version — it’s very George Condo. 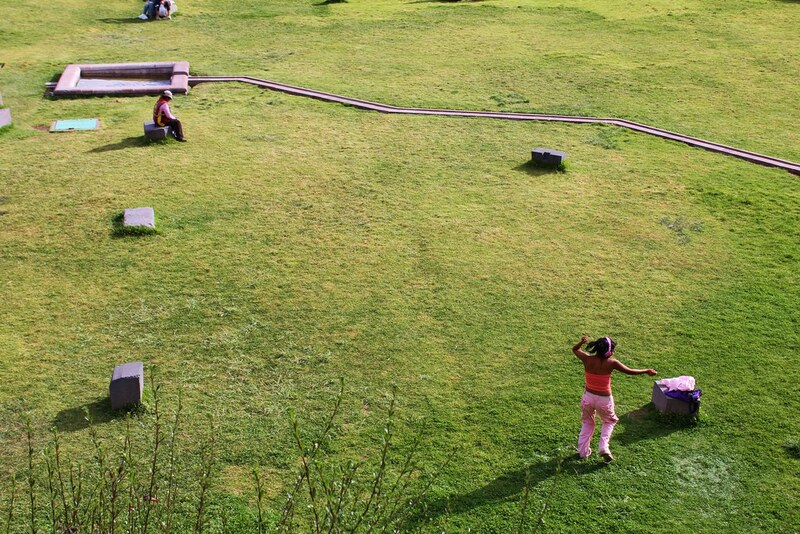 This week, Celso will be wrapping up the La Luz installations at the Qorikancha Museum in Cuzco, Peru. This has been an absolutely incredible project to work on: spending our days studying every corner of this remarkable building, which is a layer cake of both Inca and Spanish history. This Wednesday, August 29th, represents the last day of installations. At 7pm, every last piece of La Luz will be given away to the public. If you are in the area, please come by and take a piece of La Luz home with you. The event is free and open to the public. In the meantime, you can gander the last few days worth of installations below. For previous installations — e información en español — click here. Also, see Celso’s blog for additional coverage. Photo Diary: Sunday afternoon in Cusco. 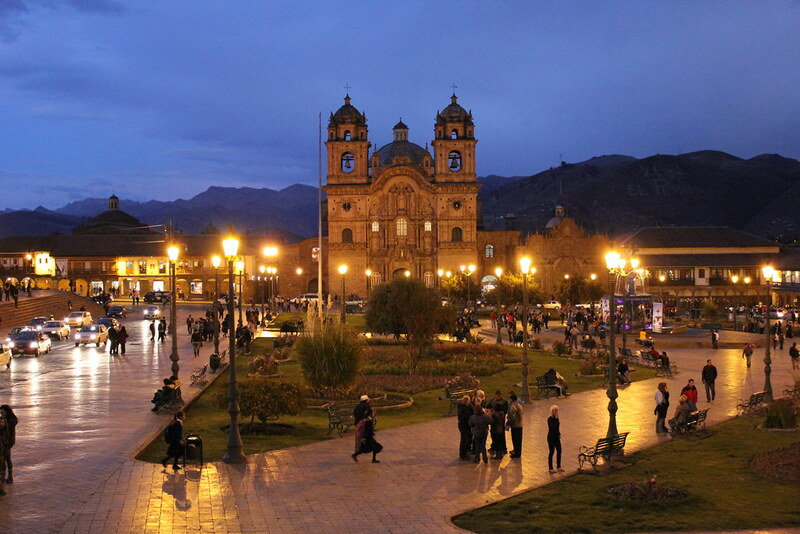 La Luz, at Qorikancha — in Cusco, Peru. 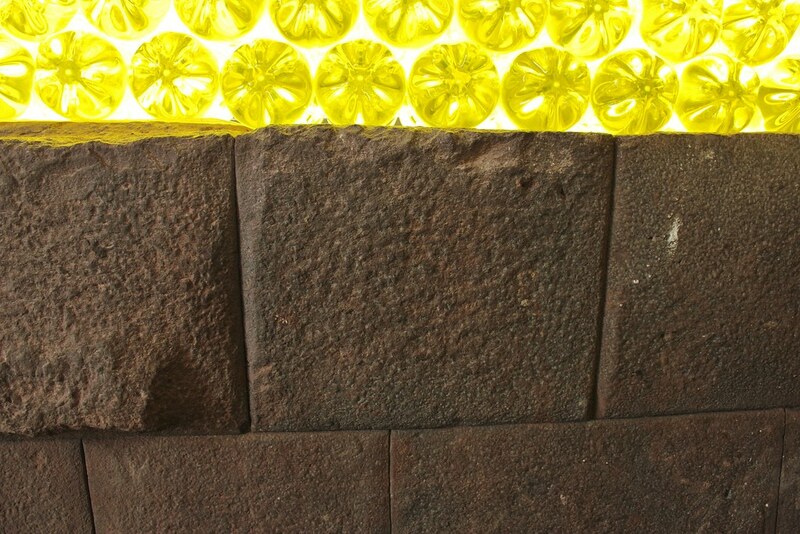 For the last four days, Celso has been building a series of architectural interventions around the Museo Qorikancha y Convento de Santo Domingo in Cusco, Peru. 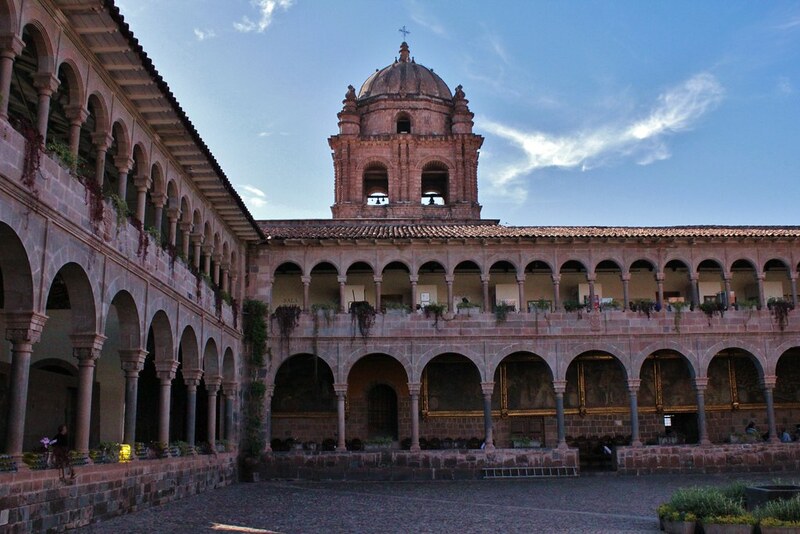 The museum houses two important structures: the remains of one of the most important temples in the entire Inca empire and a working Dominican monastery that dates back to the 16th century – and which was built on top of and around the original pre-Columbian structure. In honor of the gold that once covered the interior walls of this important Inca shrine, Celso has been creating a series of installations out of golden Peruvian soda titled La Luz. These installations will move around various locations in the museum until the end of the month. On August 29th, at 7pm, the museum will host a free event in which the public will be invited to take a piece of La Luz home with them. If you are in Cusco, please consider yourself invited! In the meantime, check out our photo diary of the work-in-progress below. Find more on Celso’s blog. 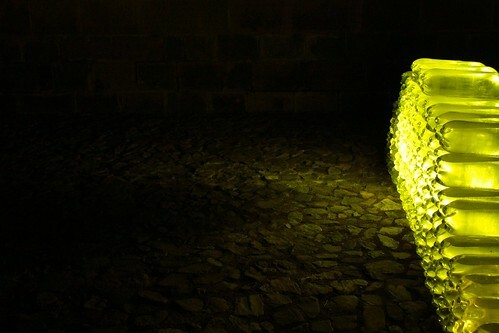 La Luz es una instalación artística hecha por el artista mexicano-norteamericano Celso, con la curaduría de Vera Tyuleneva. 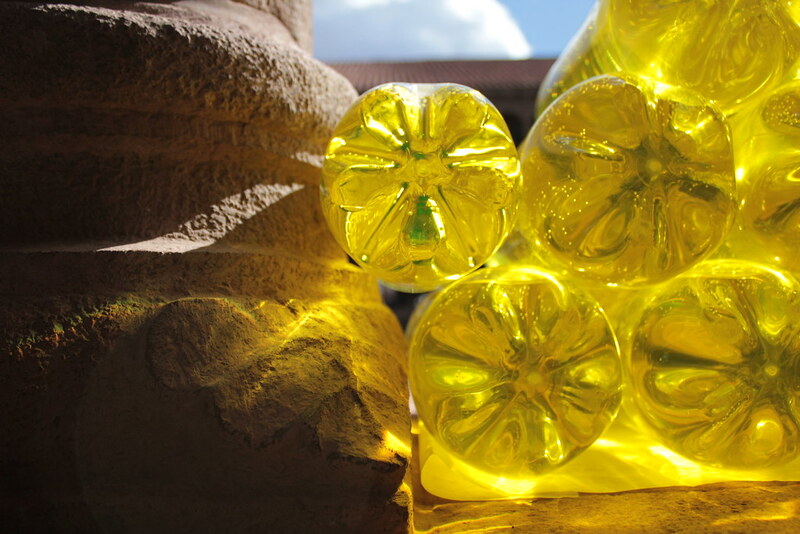 Está compuesta de una serie de estructuras de pequeña escala, diseñadas específicamente para este contexto arquitectónico, elaboradas de botellas de gaseosas peruana. 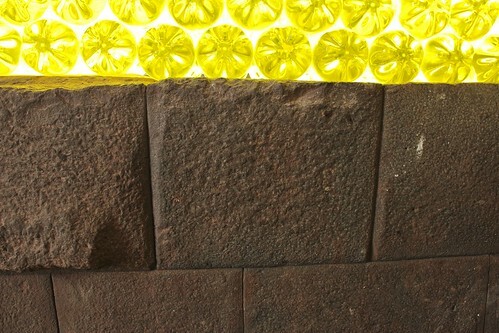 Empleando la luz y el color dorado de esa bebida, el artista rinde homenaje a la luz resplandeciente que emanaba antaño de los legendarios adornos de oro en el temple del Qorikancha. La instalación será movida entre diferentes ubicaciones dentro del museo del 16 al 29 de Agosto. A las 7pm el 29 de Agosto 2012 – el ultimo día de la muestra – los elementos primarios de la instalación (botellas selladas de gaseosa de 2 litros) serán repartidas gratuitamente al public. Todos están invitados. Entrada libre. En el intertanto, podrán ver en las siguentes fotos como las primeras instalaciones se han llevado a cabo. La obra no hace uso de materias de construcción y no altera ni daña de modo alguno el patrimonio arquitectónico y arqueológico.